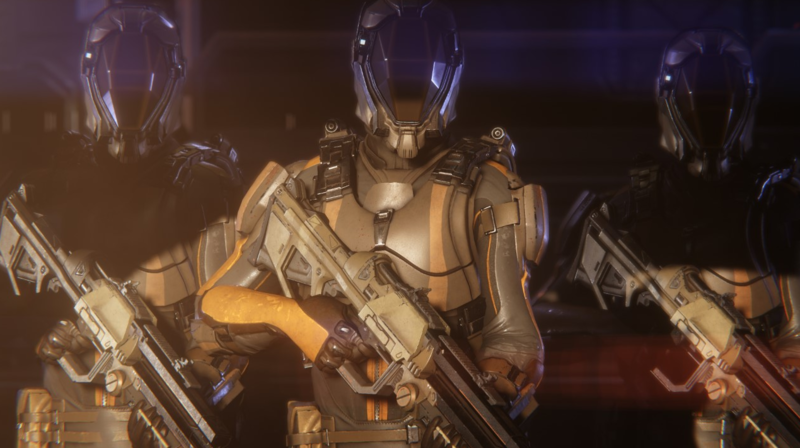 Hellion is a first person space survival game that is entirely based on the laws of Newtonian physics. As such, realistic portrayal of space played an important role in creating an immersive gameplay experience. Since survival in space is impossible without proper equipment, special care was taken to make ships, stations, airlocks, and space suits feel as real as possible. Air and atmospheric pressure also played a crucial role in the game. Right from the start, one of the main goals of the Audio Department was to achieve a realistic propagation and perception of sound, in order to bring the dangers of space to life and make the players feel as if they were really there, trying to survive surrounded by nothing but a cold vacuum. I had made a decision to use licensed libraries as little as possible and make as many original recordings as I could. Still, even the best recordings and sound effects are useless without proper implementation and mixing. So, when the work on Hellion started, I opted to try Wwise out instead of using the usual software. The results were impressive, to say the least. In a vacuum, there is no air or medium for sound waves to travel; therefore, the only way to hear anything is either through direct impact or via vibrations when in contact with a solid object. Even like this, properties of the original sound change drastically until the vibrations finally reach the enclosed atmosphere of the space suit. The effect is similar to listening underwater, but much more pronounced when sound waves travel through solid objects. The details are lost and, as the speed of a sound changes, pitch and its characteristics (frequencies and resonance) change as well. These characteristics will be affected differently based on the material that the sound is traveling through and the natural resonance of the object in question. In order to accurately simulate this effect and for it to be useful from a game design perspective, a lot of effort went into research, experimentation, and tweaking. Simply low passing or equalizing the sound would not sound good enough. To simulate sound traversing through materials found in the game’s walls, floors, suits, and helmets, I used impulse responses in Wwise’s Convolution Reverb plug-in in combination with predesigned sounds in Cubase that were put in Blend Containers. Two impulse responses were used throughout the game: an aluminum tube impulse response and a metal bucket impulse response. These were chosen among many others. This, in combination with real time equalizing, compressing, and various distortion plug-ins, created a satisfactory result. In order to automate all this in Wwise, as in to have all these effects gradually take over the natural sounds as the air pressure goes down, a Wwise Atmosphere parameter was created and then the programmer connected it to the game’s air pressure parameter in Unity. This parameter controls equalizers, distortion effects, convolution reverbs, bus volumes, voice volumes, and Blend Container settings. We also created code in Unity to automate the distance attenuation of game objects in Wwise. So, the less the air pressure, the smaller the max distance would be in the distance attenuation. Basically, when in a vacuum, all that players can hear are muffled sounds of objects that are in very close proximity. This was done to simulate the effect of being in contact with the object generating the sound, or when a distant effect was sufficiently powerful and transmitted enough low frequency rumble to be heard and felt indirectly through other surfaces. Of course, this only applies when the player's helmet is on and the visor closed, so that atmosphere inside the helmet can act as a medium. A NoHelmetNoVisor game State was made in Wwise, where if players have no helmet or keep the visor open in the vacuum, they won’t hear anything but their own heartbeat and muffled chocking. A HelmetVisorStatus parameter was also created, allowing sounds outside the helmet to be equalized differently when the visor is closed inside a breathable atmosphere and also to make UI and character breathing sounds slightly louder. During one of the live recordings (using a Neumann U87) in one of the studio’s control rooms, I accidentally left the artist’s channel monitoring in Cubase activated. When I turned up the volume on the speakers, it created this beautiful and very loud feedback sound. This effect was successfully recreated the very next day and an AKG C414 XLII stereo pair was used to record what was happening inside the room. This sound became one of the layers for most of the background ambiences in Hellion’s trailers and in-game rooms. I tried doing something similar when recording the studio’s ventilation system with the AKG C414 pair. Geithain RL 901K proved large and loud enough to create a low frequency feedback and rumble between the rooms separated by 60 cm thick walls. This became another layer for many of Hellion’s trailer, space, or room background sound FXs. Another thing to mention is that all these effects have to go through Soundtoys plug-ins, u-he Uhbik plug-ins, Lexicon reverb plug-ins, and Cubase’s Reverence plug-in. For each door sound, I had to make several recordings in order to properly layer them. The studio’s basement proved ideal for this purpose as it had numerous heavy metal doors, ventilation pipes, old metal beds, and poles. A Rode NTG3 was pointed into the center of the room and I spent the next half an hour moving, scratching, and banging everything I could find. Back in the control room, I made a recording using a Studer B-67 Tape Recorder to fast forward an old tape. This is now the main sound for the servomotors found in the game. Additionally, in order to give them a melody, as well as account for various sizes, I used u-he’s Uhbik granular pitch plug-ins. Next on the list was recording a Custom Electronics Shack Monitoring Controller, since its large knob creates an awesome sound when spinning hard. I also recorded the relays inside its rack unit’s circuit board because they produce an interesting clicking sound when the volume setting changes. An air pump in my friend’s garage served to create the pneumatic sounds. Then, in order to add weight and bass to the doors, I recorded an industrial metal cutter and its many moving parts but also used reFuse’s Lowender plug-in for this. This recording was mainly to add more body and texture. Another interesting thing to note is that much of the percussive bass found in the video of Zero Gravity’s animated logo came from accidentally kicking the mic stand that was holding the AKG C414 pair while it was recording the crazy room feedback mentioned earlier. 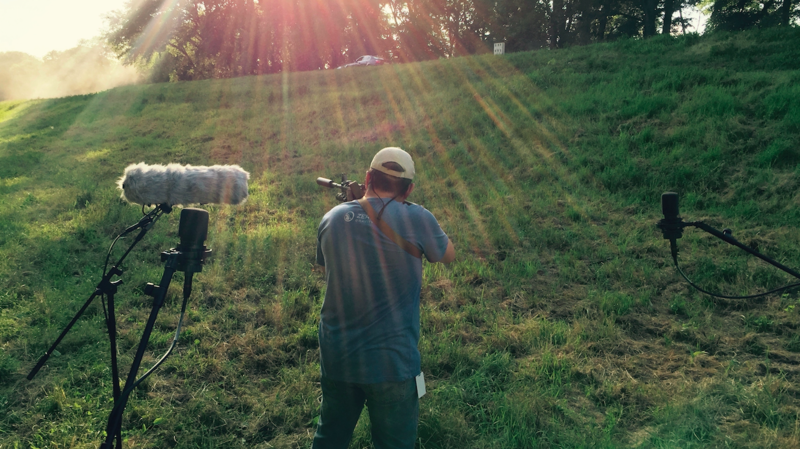 We didn’t have the resources to have a recording session in an open field with real guns. Fortunately for us, our CEO is a big fan of air-soft, so we made a recording using his air-soft rifle instead. The recording was then heavily modified in Cubase. I used plug-ins like Transient Designer, Lowender, Uhbik, FabFilter Q, UAD’s Classic Limiter Collection, Decapitator, and Devil Loc Deluxe, layered with real gun recordings from a commercial library, and finally modified it further in Wwise by layering. All the clicky sounds were recorded from the same air-soft gun but in the controlled environment of my Foley room. The sound of a character moving is separated into three parts: Footsteps Type, Suit Type, and Weapon Type. Since attention to details is important for added immersion, wearing different suits, carrying different objects, and the direction and type of movement will all affect how the character sounds while walking, running, and jumping. Hellion features complex ship and station systems. Systems like the life support, power supply, and FTL. In order for the player to know exactly what they need to do to properly operate, maintain, and fix these systems, proper audio cues and sound FX are needed. For example, the life support system is made out of air generators, nodes, and air filters, which all combined in layers will make up the general ambience of a room. Having proper AI cues, warnings, and damage sound FXs will help the player know exactly what is happening. With all the cool features in Wwise, we will surely achieve that. Coming from a recording studio background, I had very little problem learning how to work in Wwise. The official training programs combined with the intuitive Wwise interface are easy to follow and should allow any audio engineer or music producer to jump right in. The logic behind it is just brilliant. Multiple container types, RTPC options at every step of the way, mixer operations, and especially the overview that allows users to monitor everything via logs and graphs. One of the things that really stood out for me is the Convolution Reverb, as the editor can be used to literally create a whole new impulse response. Still, I believe that one of Wwise’s most important features is how it seamlessly combines the efforts of both the audio engineer and the sound programmer. It really brings the audio design and programming worlds together and opens up a whole plethora of new possibilities for both experienced users and beginners. 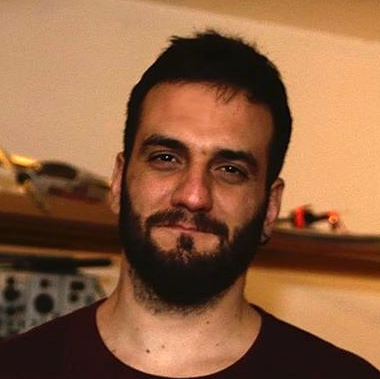 Marko Zivanovic is an Audio Director, Music Producer and Recording Engineer. He has been solely responsible and working in all things audio for Hellion. He also produced, engineered and arranged all the music for Hellion’s trailers and in-game music. 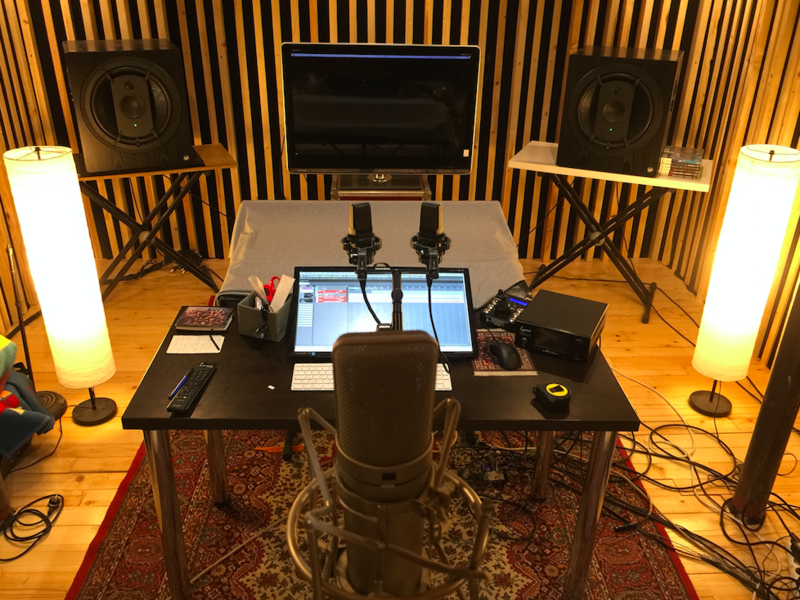 After graduating as an Audio Engineer with a Bachelor of Arts degree at SAE Belgrade, he opened his first music studio called Attic Studio. It became known for the "Attic Sessions" YouTube series, in which local Serbian bands and musicians recorded live music sessions. Today he is the owner of Devotion Studios.